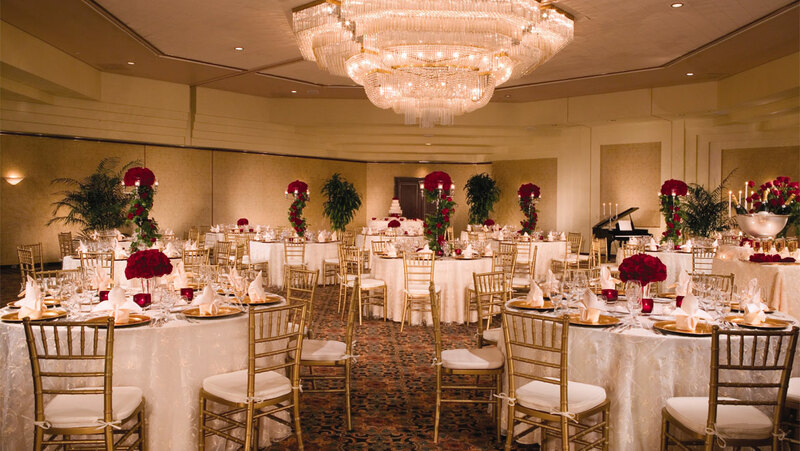 Omni Austin Hotel Downtown creates the perfect atmosphere for a wedding to remember. Whether it’s an elegant ballroom or a breathtaking atrium, you will find the ideal venue for your dream wedding. As you pass through the foyer directly into the Capital Ballroom, the grand crystal chandelier suspended from a 12-foot recessed ceiling projects timeless style and grace. The elegance of this 3,400 square foot room will be the setting for an event you and your guests will long remember. 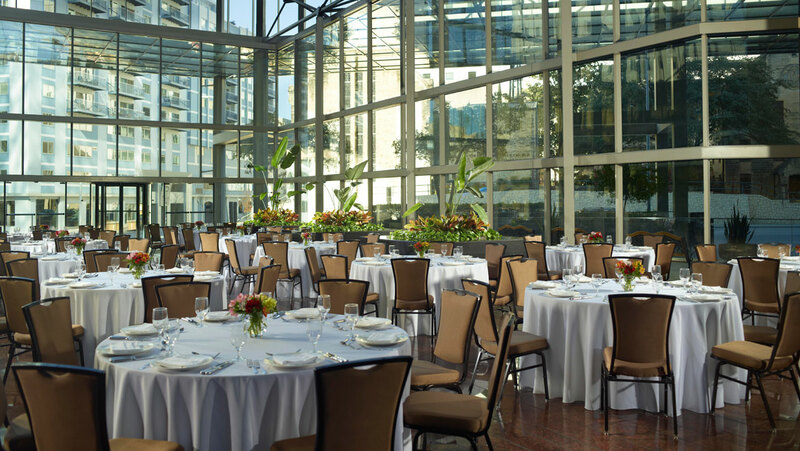 The Atrium presents a spectacular location for ceremonies or receptions with its 20 floors of glass windows, dazzling granite floors and beautiful potted trees. Imagine your entrance down the Grand Staircase as guests and onlookers admire the beautiful setting. The Atrium accommodates up to 200 guests for ceremonies and 250 guests for receptions. Austin is the perfect location to celebrate every step of your wedding. From bachelorette parties to a farewell brunch, Austin plays the perfect host to celebrate this milestone. Book your wedding event at any of our distinctive Omni Hotels & Resorts and receive a complimentary honeymoon stay at one of 14 premier resort destinations. Let wedding stress slip away as you take a dip in our rooftop, year-round heated pool.